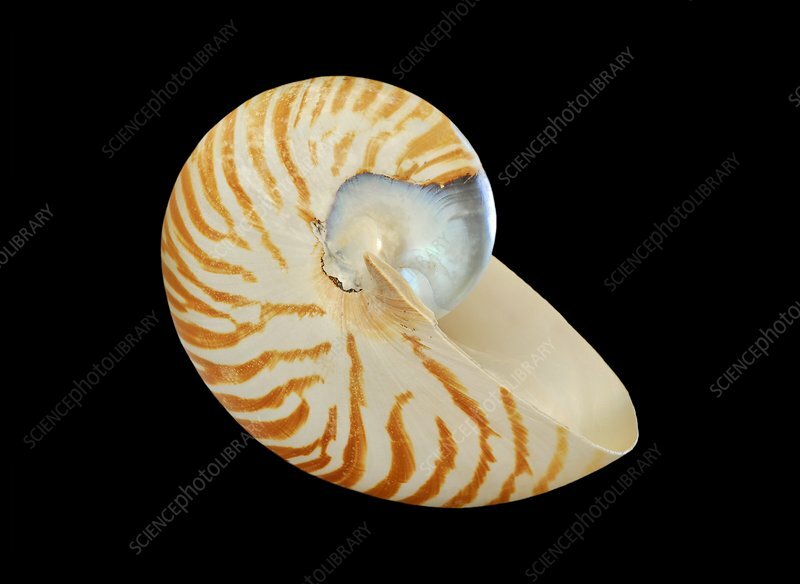 Chambered nautilus shell. Empty shell from a chambered nautilus (Nautilus pompilius). The nautilus is a marine cephalopod mollusc related to the octopus and squid. It has a spiral shell divided into many chambers, of which the animal inhabits only the outermost. The rest are filled with gas and fluid.